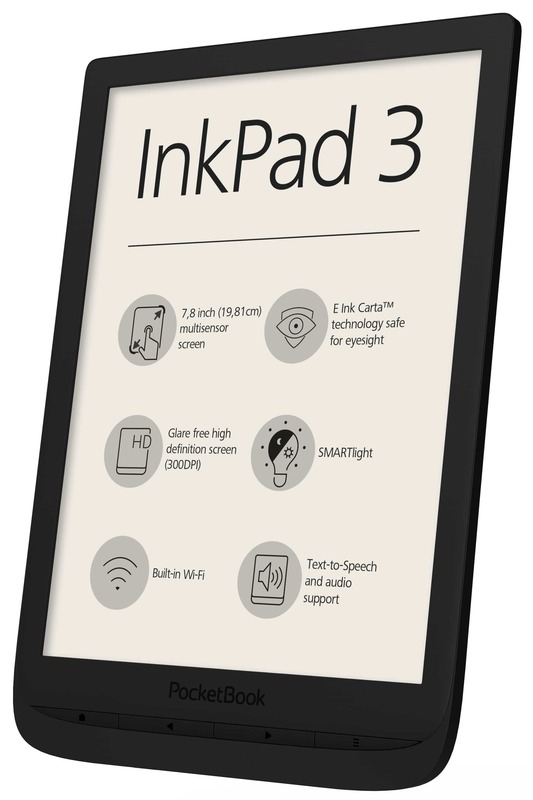 This InkPad 3 features a 7.8 inch E Ink Carta display with a resolution of 1872×1404 and 300 PPI. 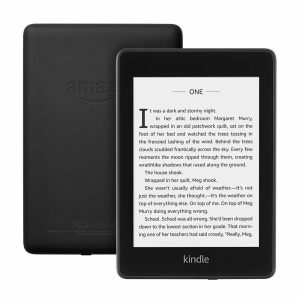 It has a front-lit display with 10 white LED lights and 9 orange. 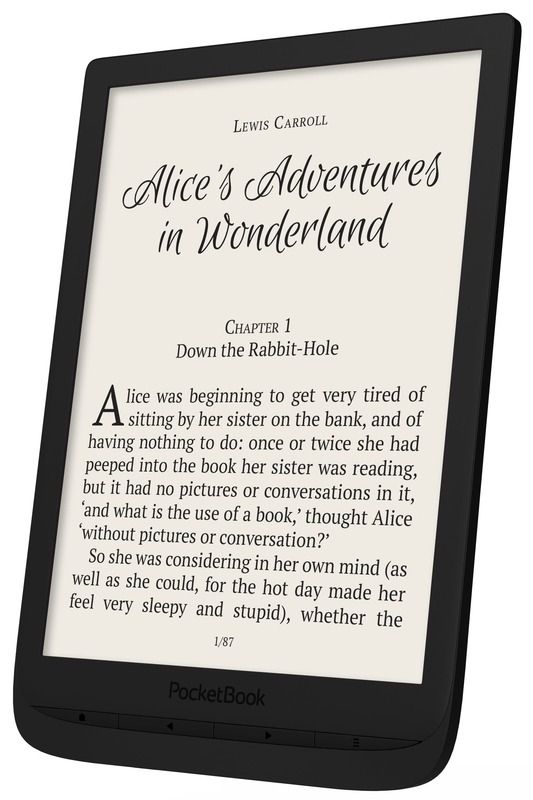 I was surprised on how good this new Pocketbook ereader performs in low light conditions or complete darkness. 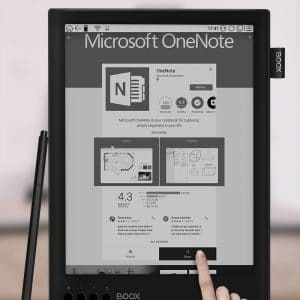 I think this is primarily attributed to Pocketbook using new white LED’s than previous models, such as the Pocketbook Touch HD 2. One of the big advantages of the smartlight/warm light display i s that you can mute the bright white screen into various degrees of orange. Pocketbook really hit a homerun with being able to really configure this experience, resulting in a ton of different options to warm up the screen. This is the first e-reader to really get this right. Underneath the hood is a 1GHZ dual core processor, 1GB of RAM, 8GB of internal storage. 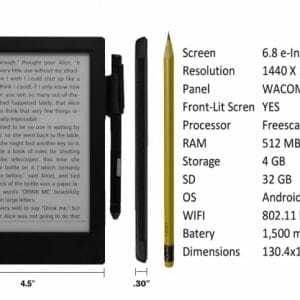 There is a MicroSD port to enhance the storage up to 32 GB. 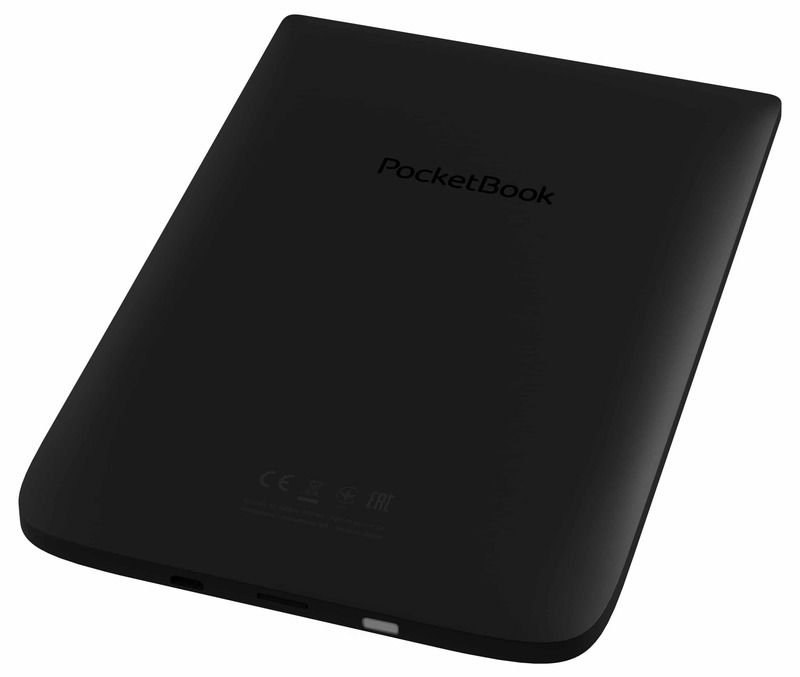 This device does not have a 3.5mm headphone jack or a speaker, but Pocketbook has pioneered the concept of an audio dongle that plugs into the Micro USB port and has an audio output. 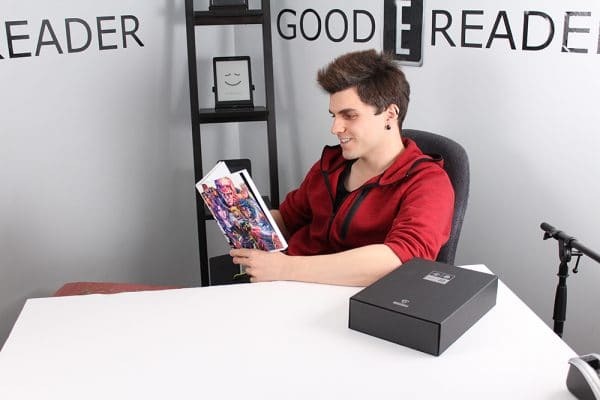 This allows you to listen to audiobooks, music or podcasts. 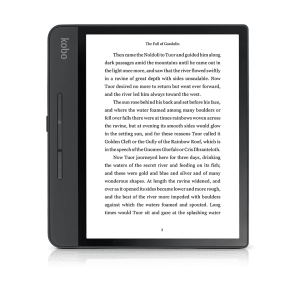 The InkPad 3 also has a text to speech engine, so you can initiate this function and have your books read aloud. 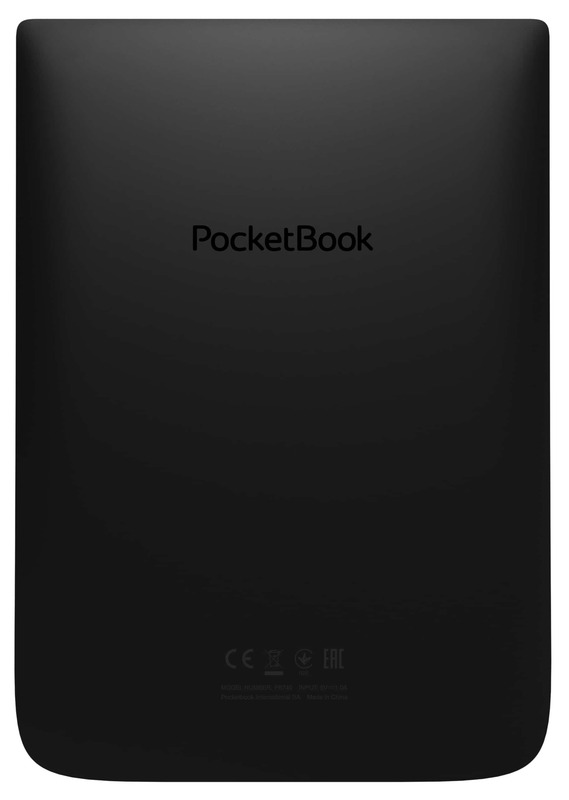 The default is English, but there are 15 language packs to download from the main Pocketbook website. 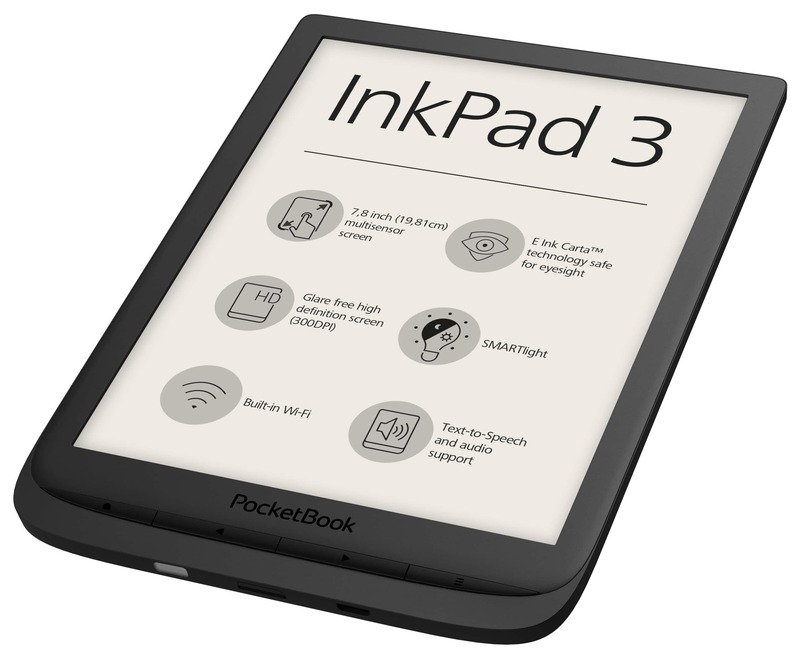 The one thing Pocketbook has always done right is include manual page turn buttons on their ereaders and the InkPad 3 is no exception, you can easily hold it with one hand thanks to it only weighing 207 grams. It is made of plastic with not aluminium, so this cuts down on the overall weight.